The world’s cultural heritage is under threat from war, illicit trafficking, social and economic upheaval, unregulated excavation and neglect. Over a period of almost fifty years, the United Nations Educational, Scientific and Cultural Organisation has adopted five international conventions that attempt to protect this cultural heritage. This book comprehensively and critically considers these five UNESCO cultural heritage conventions. The book looks at the conventions in the context of recent events that have exposed the dangers faced by cultural heritage, including the destruction of cultural heritage sites in Iraq and the looting of the Baghdad museum, the destruction the Buddhas of Bamiyan in Afghanistan, the salvage of artefacts from the RMS Titanic and the illicit excavation and trade in Chinese, Peruvian and Italian archaeological objects. As the only existing work to consider all five of the cultural heritage conventions adopted by UNESCO, the book acts as an introduction to this growing area of international law. 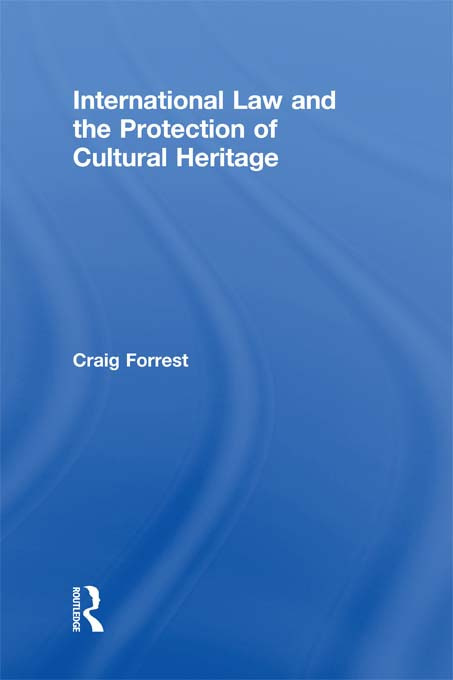 However, the book does not merely describe the conventional principles and rules, but, critically evaluates the extent to which these international law principles and rules provide an effective and coherent international law framework for the protection of cultural heritage. It is suitable not only for those schooled in the law, but also for those who work with cultural heritage in all its manifestations seeking a broad but critical consideration of this important area of international law.